This is a catch and release fishery. 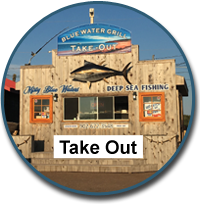 The season for Bluefin PEI Tuna fishing usually runs from July 1 to late October, but can vary from year to year. Gear and bait is supplied. Parties of up to 5 people. Make certain you bring sun protection and dress for the weather. Remember to bring your own lunch and drinks. Water and pop are sold at the wharf office. Shark fishing is also available with notice to allow for licenses, and is also a catch and release fishery. Best in September and October. Blue fin PEI tuna fishing is definitely an exciting but a science-based sport. This sport dictates the requirement for doing sufficient research and planning to ensure that you are able to tap the best assets in the proper time for enjoying the greatest yield. Individuals who eat blue fin tuna will swear about its taste, but it’s quite costly. Every large-game angler views catching blue fin tuna as a great experience. Blue fin are among the swiftest tuna, and therefore you might find them elusive. So even experienced fishermen will find it hard to catch them. In the area surrounding PEI, it’s stated that blue fin tuna weighing even 1000 pounds can be found. Being that they are quick and elusive, fishing them requires lots of persistence. You have to perform a large amount of planning and research before you decide to venture to fish for them. It’s been discovered that from the northern border of New England of the United States and across to the western coast of Ireland are places where blue fin will come in abundance. This places PEI Tuna Fishing right in the middle, the very best months are June to November. The very best period for PEI tuna Fishing is August to November. You should look at every aspect as you plan for choosing the best places for PEI Tuna fishing. Blue fins prefer to reside in the deep waters and this is not on the seaside places that water is shallow. Blue fin tuna predators should get the needed understanding for finding and fishing blue fin tuna. You should charter a boat outfitted with all of facilities and tools needed for PEI Tuna fishing. Trustworthy skippers exist whose assistance is needed for catching your PEI tuna. You need to avoid employing individuals charters who proclaim there is a large amount of experience but don’t have any track-record that may be proven. Aside from planning and arranging your PEI tuna fishing charter and using experienced skippers, it’s also wise to have appropriate tools for PEI tuna fishing. The tools should be appropriate for large game angling. Periodic large-game fishermen can hire the tools rather than purchasing them by themselves. Whenever you employ the expertise of skippers, you need to understand their rental costs includes the price of these tools together with the charter. Some skippers charges you expense that might be nominal of these tools. You need to know what tools can be found to ensure that you do not need to run around for that needed equipment within the last minute. Thanks for visiting our PEI Tuna Fishing page.